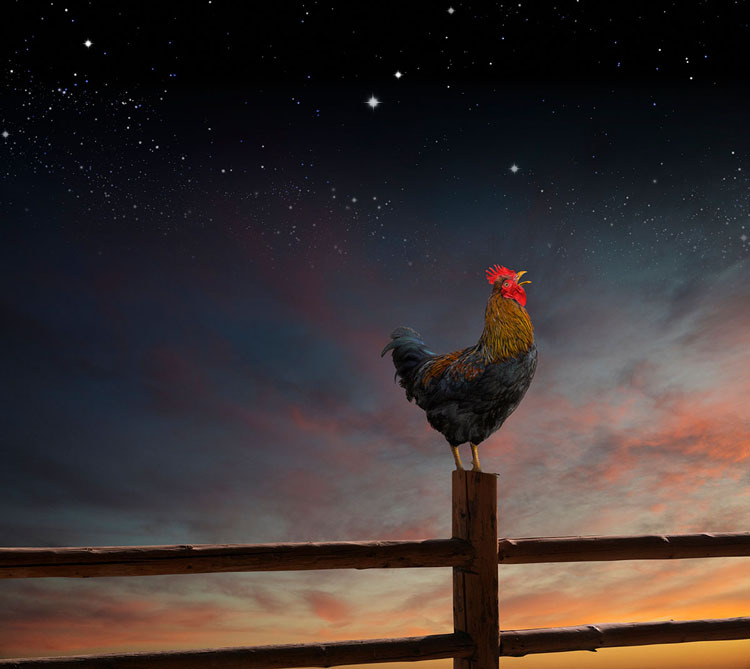 A rooster crowing at dawn makes a great stock photo for illustrating the concepts of new beginnings, getting started, and important announcements. When any of think of a rooster crowing we immediately picture a rooster, crowing at dawn, and standing on a wooden fence post. We also instinctively know that a crowing rooster is a signal that the day is starting and that hard working people are rousing from their beds and getting to work. As a stock image, a rooster crowing at sunrise offers the power of the unconscious familiarity that we all have with both the visual and the concepts that are represented. With the above thoughts in mind a rooster crowing stock photo as been one that I have contemplated creating for several years, but have just never gotten my act together in finding and photographing a rooster. Fast forward to a couple of weeks ago when I was in Kyrgyztan on a photo trip with Jeremy Woodhouse. We were taking a morning tour of a small village when I spotted a rooster on the road. I managed to get five or six shots of the big guy before moving on. Later, on that same trip, but this time in Uzbekistan, I got some great images of a colorful sunset. Back from the trip, and in my Sausalito studio, I picked the best of the rooster captures, stripped it out, and manipulated it to have its beak wide open. I dropped the rooster shot into one of the sunset shots. I used a series of adjustment layers, Hue and Saturation, Curves, and Color Balance to make the lighting on the rooster fit the background image. I found a fence shot, also photographed in Kyrgyztan…on the same morning as I photographed the rooster…stripped it out, and placed it into the composite. I positioned it to make it appear that the rooster was standing on the fence post. Again I used several adjustment layers to match the lighting and color of its new surroundings. Finally, in my archives I selected a star field image and faded it into the top of the composite. The whole process took several hours and a lot of fiddling with, but in the end I was able to come up with a rooster crowing at sunrise stock photo that perfectly matched the visual I had held in my imagination all of these years. The crowing rooster image was composed to allow plenty of copy space and cropping options. And speaking of copy, depending on the headline and body text included, the image can serve to illustrate such diverse ideas as announcements, new beginnings and/or time issues. The next question is what to do with the image. I will be uploading it to Blend Images for distribution. 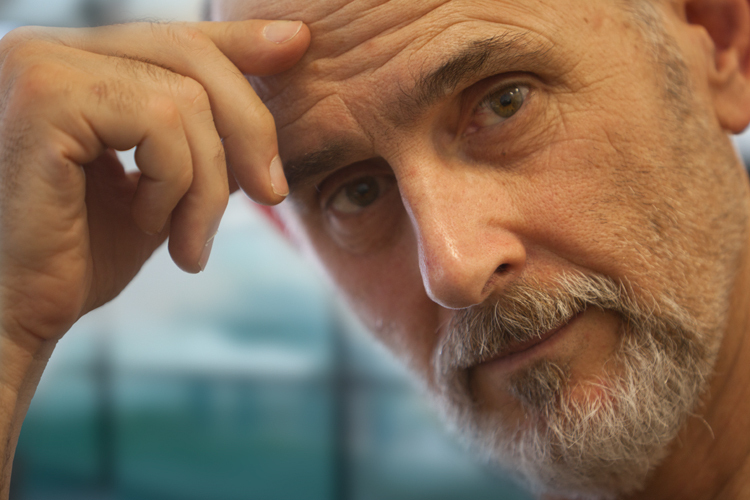 I, however, am still struggling with whether to put it in as a Royalty Free image or a Rights Managed one. My heart is always with RM because I started out as an RM photographer and I believe my images are worth more money that the prices generally charge for RF…but the audience for RM images has dropped in size to a mere fraction of the audience for RF images…and Getty now routinely licenses RM images at microstock prices. Oh well. In his case I am counting on a big audience and am submitting the rooster image to the Royalty Free collection.